Wisteria needs regular pruning to keep the growth and size under control, but it will also improve the flowering display. Although it seems complicated, wisteria pruning is quite simple if you follow our simple guide. Wisteria is pruned twice a year, in July or August, then again in January or February. Wisterias can be left to ramble unchecked where space allows but will usually flower more freely and regularly if pruned twice a year. The removal of growth in summer allows better air circulation and more sunlight to reach the base of the young growths, encouraging better ripening of the wood and improving the chances of flower bud formation. Restricting the amount of vegetative growth and encouraging short, flowering spurs will result in more flowers. Cut back the whippy green shoots of the current year’s growth to five or six leaves after flowering in July or August. This controls the size of the wisteria, preventing it getting into guttering and windows, and encourages it to form flower buds rather than green growth. 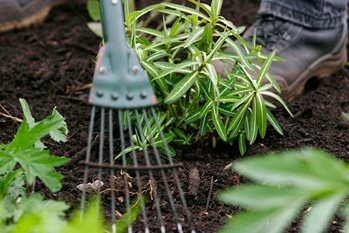 Then, cut back the same growths to two or three buds in January or February (when the plant is dormant and leafless) to tidy it up before the growing season starts and ensure the flowers will not be obscured by leaves. With older plants severe pruning may be needed to remove old, worn-out growths, or branches growing over windows or protruding outwards from the face of the building. Likewise, hard pruning maybe required where maintenance needs to be carried out on the structure supporting the plant. Drastically shortening back long branches, removing sections of older stems to just above a strong young branch or growth shoot lower down, or cutting completely back to a main branch, or even to ground level may be necessary. A careful, unhurried approach is needed if larger, thicker branches are to be removed and where a branch is twining it may be necessary to trace back and mark it at intervals with string before removing it. The end result should be a skeleton frame work of reasonably well-spaced branches. The ideal way to grow wisteria against a wall is to train it as an espalier, with horizontal support wires (3mm galvanised steel) set 30cm (1ft) apart. Over time, and with pruning twice a year, plants will build up a strong spur system. Use new growths that develop near the base of plants as replacement shoots, if necessary, or cut out at their point of origin. Wisterias with long flower racemes are best admired on structures where they can hang free, unimpeded by branches or foliage. For the best flowers, reduce the number of racemes by thinning out to give those that remain plenty of space to develop. Wisteria can be trained to grow up into the canopy of a small tree, but to the possible detriment of the tree. Growing into large trees can make pruning of the wisteria difficult, and flowering may be affected if the leaf canopy is dense. If you choose to grow into a tree, plant the wisteria on the south side of the tree, 1m (3ft) away from the trunk. Standard wisterias can be grown either as specimens in a border, or in a large pot. See our page on frequently asked questions on wisteria problems.